While I’m not missing the snow – I certainly love seeing photos (such as yours) of dogs having a blast in the snow. Leo’s coat is so beautiful too – gorgeous dog. Yes, it is real. We have had the craziest winter yet. 60 degrees in February – kind of unheard of for northern IL. Funny thing… this was his very first film! Well… he’s been IN lots of films, but this was the first one where he shot the footage himself. 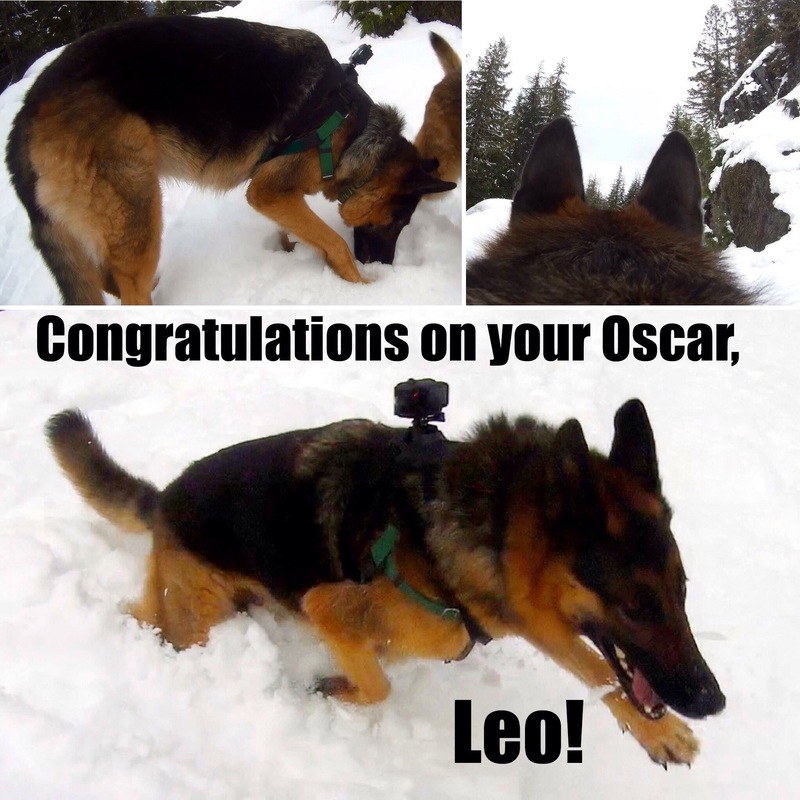 You go, Leo. I’d rather watch your film than half the stuff that’s made in Hollywood, woof, woof. Was your trophy made out of jerky?